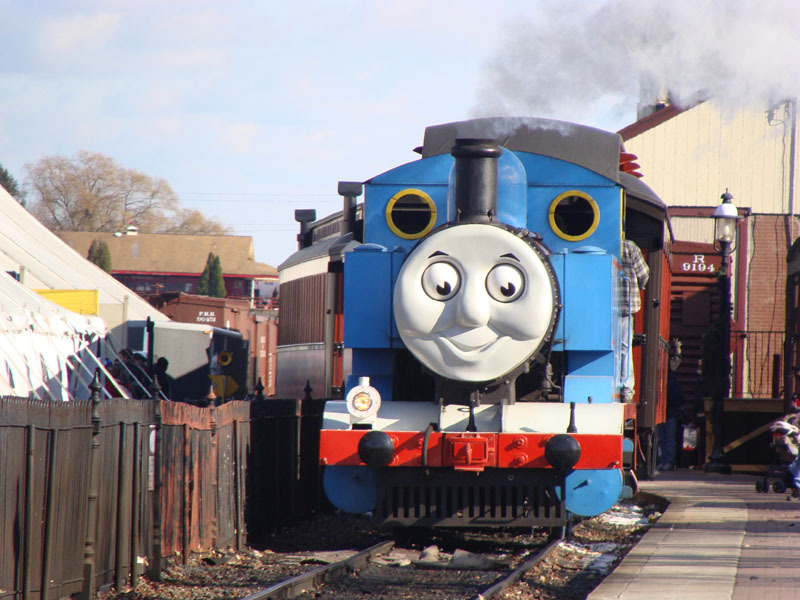 Hey Donny remember when we saw the train but it didn’t have Thomas’ face on it cause it was being cleaned. Well, I went by the other day and look here, the face is all clean and it’s on the train. I made Uncle Bobby stop the car and I jumped out of the car and I ran really fast to catch up with Thomas. 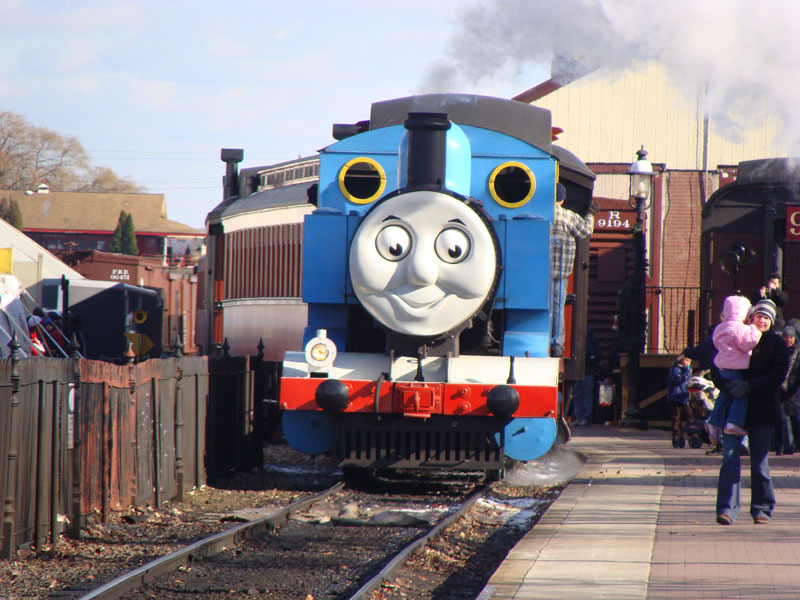 But Thomas was leaving the station AND he was going out backwards. I had to run really fast. Faster than I have run in a long time. Aunt Ann needs to do some serious excerise or she will have a heart attack if she does that again. 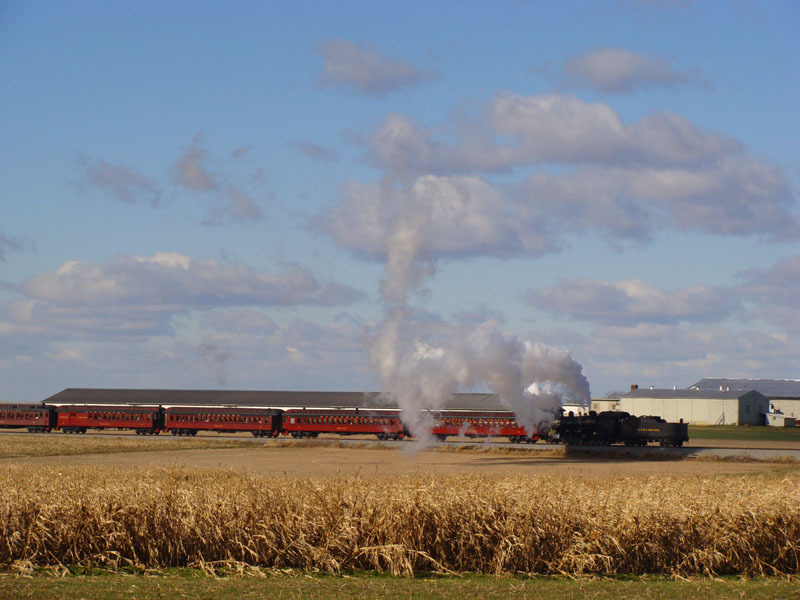 It was so cold outside, my eyes were stinging and my breath made smoke just like the train’s puffing smoke stack. All these little kids were in my way and I had to run around them. “Wait Thomas, I need a picture of you, don’t leave so fast” I yelled. 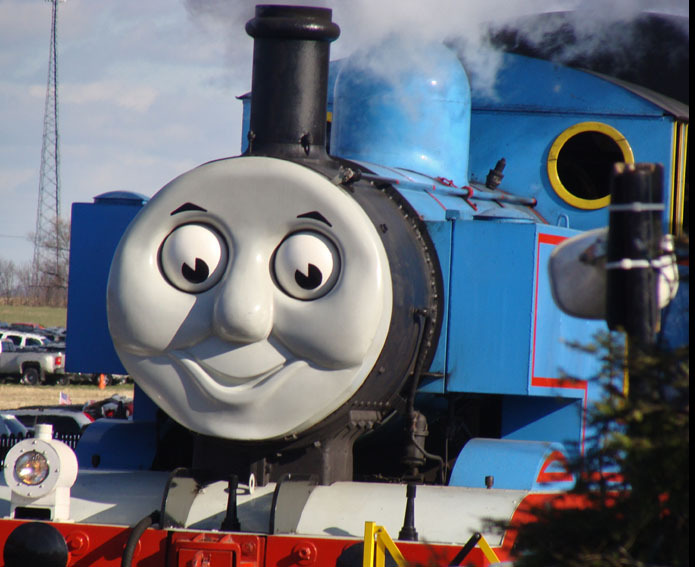 But thomas didn’t hear me, he just kept going out backwards. And then he stopped, for just a minute, I think he might have heard me calling his name. He smiled and let me take this picture just for you. I sure hope you like it! And I took this one too! This is the one we went on when you came to visit me, do you remember that? See you later alligator, I love you!